Come on out and join in the fun in 2019! 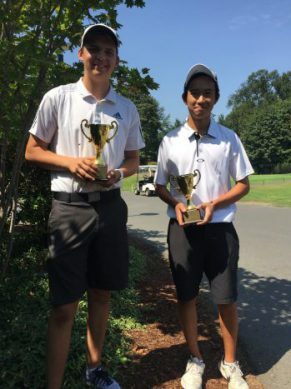 Boys 16-18 winners in the Best Ball tournament – Noah Gould and partner Gabriel Lau. Winners in the 14-15 division – a tie! Team Hannah Elaimy/Gihoe Seo and Team Cooper Neil/Mats Lunc. 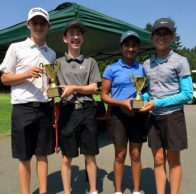 Another tie for winners in the 8-13 division, Team Max Herendeen/Isaac Elaimy and Team Sanjana Chalasani/Morgan Lee. 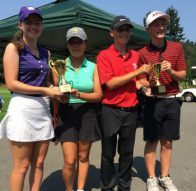 2017 State Best Ball winners – congratz to all!